RSVP: please email us academyofyogasa@gmail.com for catering purposes. 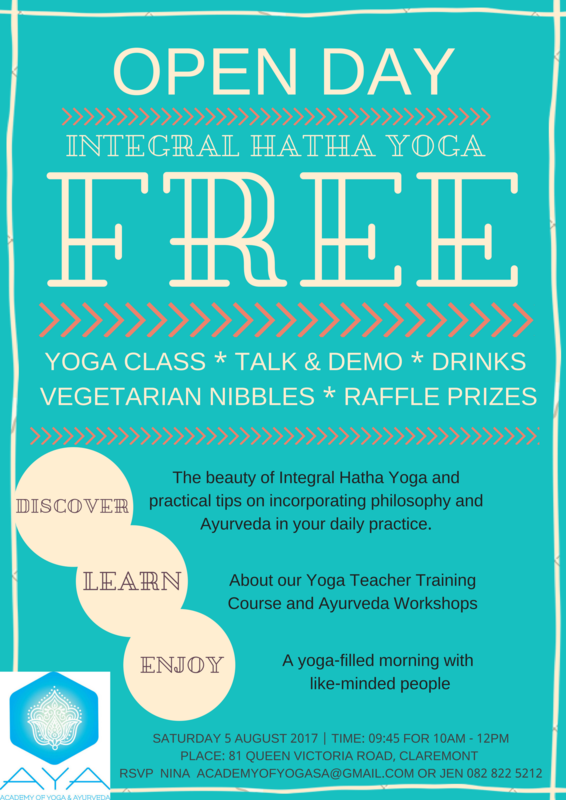 We look forward to meeting you and sharing our love of Integral Hatha Yoga and Ayurveda with you. We will happily answer any questions regarding the course for 2017/2018 at this event.